In our appreciation of artists interpreting the natural world, we now focus on Anthony Thompson, a painter, teacher of studio art, and a student of psychology and neuroscience. He is involved in understanding the way in which artists make “non-conscious perceptions concrete” in their art and, in his words, “seem to be agents or mediums through which someone or something else is creating.” In both his writing and teaching, this artist compellingly explores the roots of creation and perception. 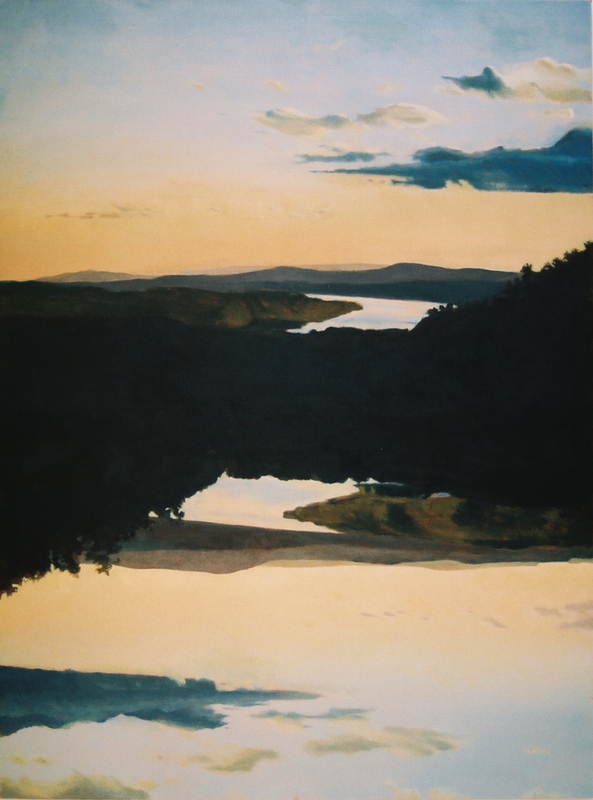 Living in the Hudson Valley, Thompson has been influenced by the American Hudson River School of landscape painters such as Thomas Cole and Frederic Edwin Church (of Olana). 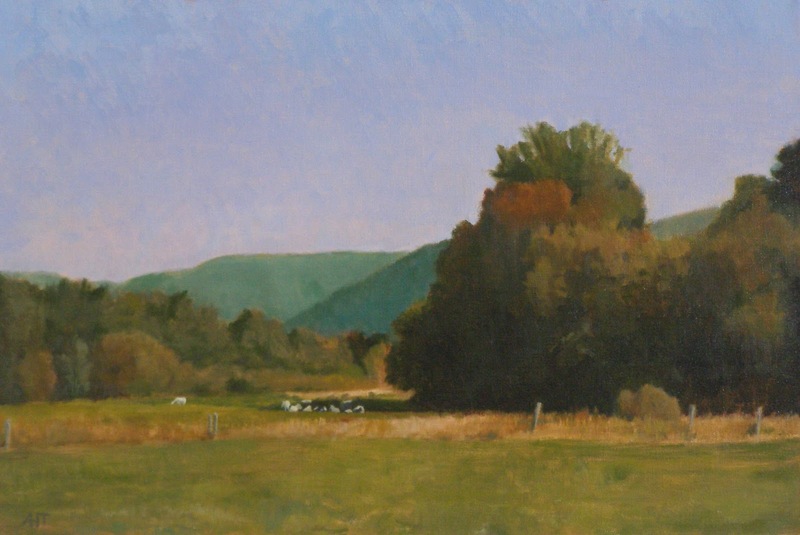 This movement incorporated pastoral settings and showed harmony between human beings and nature. 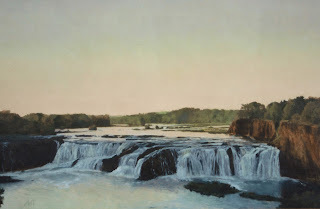 In addition to his traditional landscapes, he also produces contemporary landscapes and drawings combined with abstraction, showing his intense investigation into cognitive psychology and the creative process. Thompson has had numerous solo shows in Boston and New York, and his work has been exhibited at the Museum of Modern Art, NYC and the Institute for Contemporary Art in Boston. Locally he shows his work at the Martinez Gallery in Troy, NY, www.martinezgallery.net, located in Monument Square at 3 Broadway, in the district for arts and antiques. This gallery features contemporary art focusing, but not exclusively, on Latino and Latin American art. 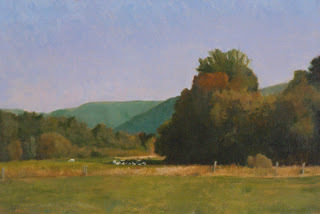 Check out Tony’s website at http://www.tonythompsonpainter.com. Big Mind Learning is delighted to announce the winners and finalists of our 2012 second annual Scholarship Essay Contest. The judges were very impressed by the quality of the entries, and we are always happy to celebrate personal essays that express directness, maturity, and style while discussing compelling subjects. We honor all the students who submitted their work and hope they will continue to write with candor and expressiveness. To the schools and students who submitted, thank you very much for your participation. We look forward to your continued interest next year. In 2013 we will expand the scope of our contests to include a competitive fellowship for teachers concerning a project related to the STEM subjects: science, technology, engineering and math. Please look for the announcement of both contests in August. Read the winning essays at www.bigmindlearning.com.